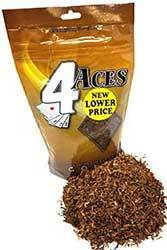 4 Aces features a perfect blend of natural pipe tobaccos that gives pipe fans a rich, pleasant and absolutely satisfying taste as compared to other pipe tobaccos available in the market. 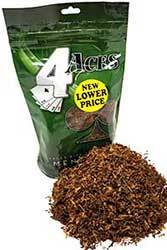 Discount Little Cigars bring you premium quality pipe tobacco at competitive prices without charging you any extra costs, so that you can enjoy a great smoke for a great value. 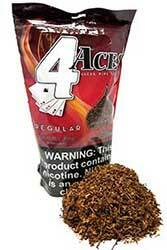 4 Aces Pipe Tobacco has a rich aroma and a very moist and refined texture. 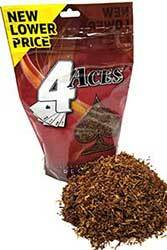 Have a taste of it and once you've taken a few puffs, you will know this pipe tobacco is like no other. 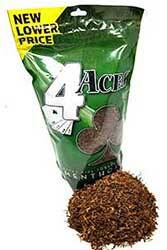 If you want a rich, satisfying and pleasant smoking experience, grab a bag of 4 Aces Pipe Tobacco today.